EDIT: The Mini-Marathon has concluded and we raised over $2600. Thanks everybody! You can view the full stream over at our Twitch Channel, as well as take part in the chat. 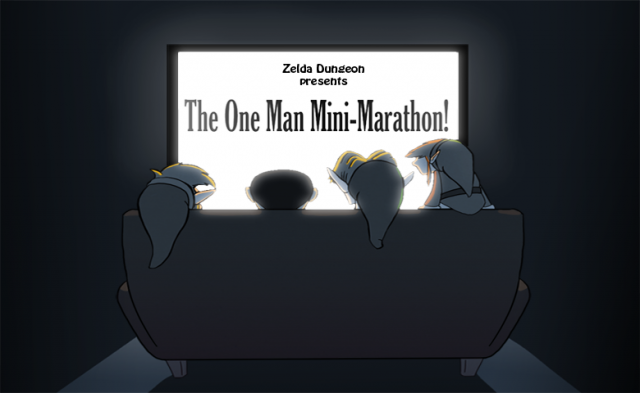 The one-man 21-hour mini marathon will begin at 6am US Central Time, lasting all the way until 3am the following day. We are raising money for the Galloping Ghost Arcade as part of their expansion fundraiser. Be sure to visit their website to find out some information about their arcade, as well as their massive expansion. We have a goal set of $2500, as well as a goal of playing the first five Legend of Zelda games through to completion, one after another. In order to reach our goals, we need your help. We have donation benchmarks that we must reach in order to keep me playing. Go ahead and make the jump to see the full listing of all the donation benchmarks. The times next to the games are the estimated start times. Next to each benchmark, there is a donation total. We must reach that donation benchmark in order for me to begin that portion of the particular game. If we have not reached the benchmark, I will stop playing for 3 minutes. If we do not hit the donation mark after 3 minutes, we will conclude the marathon. The more donations we get, the more of the marathon we will get through! I’m honestly not quite sure I can get through the full 21-hours, so make me prove it to myself by donating!